You'll be hard pressed to find someone who knows more about fashion, and Irish women's relationship with it, than Celia Holman Lee. More than forty years after she was first scouted as a model in her native Limerick, she has had a career of such longevity, it's hard to remember a time when Celia wasn't on the small screen in some capacity. Her lengthy career began first as a model, then as an agent, then as a tv presenter and stylist and still as an MC, is legendary - not to mention a brand ambassador role with Oxendales, which has paid off for both parties in spades. Eight years ago, she was working with curve brand Simply Be's integration into the Irish market and the parent company asked her to partner up with Oxendales in 2014 to be the face of their campaign. She was the perfect fit thanks to her popularity outside Dublin in particular and thus, a very happy marriage was made. It's a partnership she's grateful for, especially in an industry notoriously unforgiving of women who have the audacity to age. "It was a lovely thing to fall into my lap at the age I’m at, the brand is so age appropriate if there is such thing," she tells Independent.ie Style. "The new age is no age as far as I'm concerned. I'm passionate because I can relate to it. The fact that I'm out there talking about it to the media - doing Today on RTE and Ireland AM on Virgin, as well as stuff online for them - who would have thought a 67-year-old woman doing this still?" 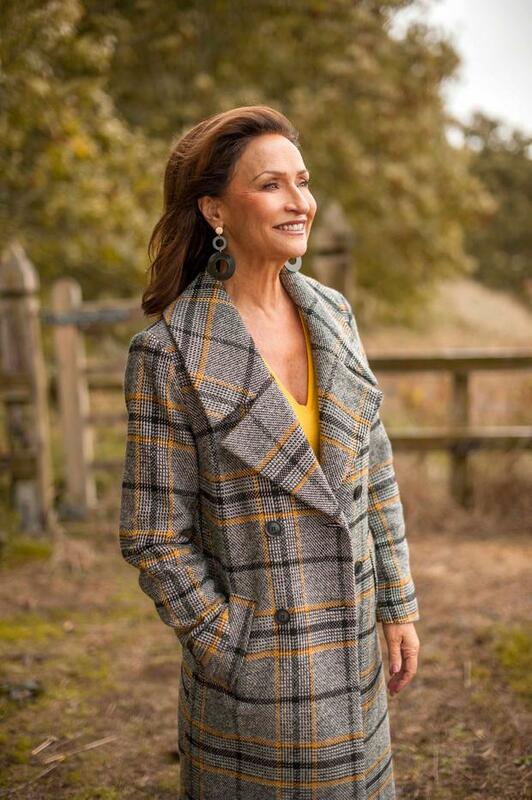 She speaks with pride at turning 68 next month and she feels a responsibility, particularly towards women, to let them know that life can be lived to the fullest regardless of what decade you're in. "I love women, we are incredible. I'm a grandmother of five and I find it to be the most incredible thing. When you look at your life as a mother, you want to be other things in life; you’re a wife, you’re a businesswoman which I'm trying to be, your children get married, they have ups and downs and try to find themselves - we see so much of life. "I thank God for the knowledge I have about everything now. I wouldn't want to be too young, maybe 40 or 50, because you have to learn and how can you learn unless you've lived a life? You have to understand disappointment, death, terrible loss, financial uncertainty, losing people that you’ve loved, arguing with people you love, things you never thought would happen. It's all a lesson, you should never regret anything." 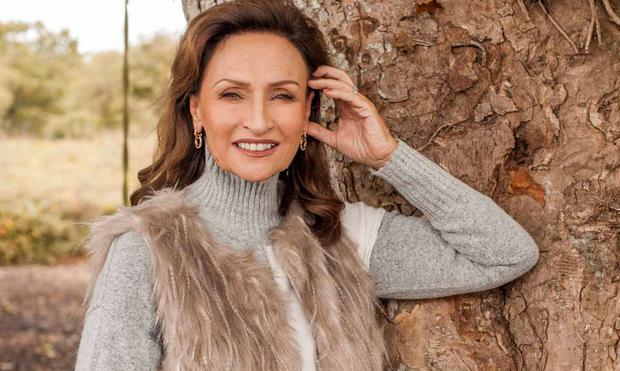 It should come as no surprise that Celia takes good care of herself, thanks in part, in solidarity with husband of 49 years Ger, who had heart surgery in the late '90s and was forced to overhaul his lifestyle to optimise his health. She is cautious, but not restrictive with her diet, and has a healthy lifestyle, which helps her juggle it all. "My husband had a bypass 20 years ago and he was told by the doctor to take it easy, eat plain food and not to overdo anything. Over the years, you forget, but over the last five or 10, he watches everything he eats," she says. "So, what does Celia do? She runs in with him. I don't eat sauces, I eat lots of fruit and we have a big smoothie in the morning together. I'm also aware of osteoporosis because of my age. I don't eliminate anything but I eat very well." Has she ever had the temptation to go under the knife to enhance her appearance? "I've got nothing against it whatsoever, but the only thing I've had is something called Ultherapy and I only had my chin area done. I invest in good skincare like Creme de la Mer and Lancôme, and Elizabeth Arden have these new collagen capsules I like. I dance around cosmetic companies looking for products I like." As for how she mastered the on-camera confidence, which is so well-known in showbiz circles that she was recently given the inaugural 'Most Stylish Ever' icon award at the VIP Style Awards honouring her contribution to the industry, she says it's all about getting to know yourself and most importantly, self-acceptance. "I play around with clothes as well. You must play as well. I know I sound as if I spend hours and hours on this - I don't - I keep an eye on it though. A full length mirror is your best friend," she says. "For me, you need to be aware not so much your age, not so much your height, but your body shape. That is the key for any woman. My advice is just to look at your body because it's an incredible thing - your body, your face, we women are incredible creatures - look at it, not to find fault, but find the parts you're not too comfortable with. Everybody has them and if you know them, you can minimise it. "Then there are parts our body that we feel very proud of, you may have great legs and not such a great middle, so you maximise and minimise those. I'm in it a long time now and it's not that I never make mistakes, I just know what I'm doing. "Women that know me are very complimentary and say I always get it right. I get it right because of what suits my body shape. Think of your body as you're dressing it because it’s beautiful but things don't suit it all the time." Anyone who has heard her speak publicly knows her signature advice is emphasising good posture, more specifically, 'Ears behind shoulders, shoulders behind hips' as a mantra for everyday women to carry themselves like a runway model. She tells us it all started after her first few fashion shows. "When I started in the industry, I was doing a little bit of modelling - quite a bit, but not an awful lot - and people started asking me if I knew any models I would know would be interested in working with them. I always wanted my own agency, I had ideas for shows and knew how I wanted to produce them," she explains. "I remember during that first year or so, there was never a model going on the ramp for me without my spending weeks or days or hours to get her posture correct. That for me is the greatest lesson or gift you can give yourself. "The more mistakes you make, the better you get, I've always believed that."